It is the end of January and the midst of winter, when Spring is almost upon us and the season when Leptos Kamares Village reveals its abundant beauty. Flowers, plants and fauna that can only be found in Cyprus invite you to seek them and look around at a haven for anyone that loves to observe nature. Although the period of efflorescence has only just begun, our Island has something to show each and every month throughout the year. Rare plants, beautiful and unique flowers surface during this period in the breathtaking district of Paphos and more specifically in the picturesque Leptos Kamares Village, Tala. “Kamares Village” is an area of outstanding beauty to which Leptos has been privileged to add to its natural surroundings, a variety of stunning villas dotted over the hillsides overlooking the sea. The care and consideration for the environment has meant that the use of natural stone enables many of the wild flowers to grow, and the planting of hundreds of thousands of trees has preserved numerous green areas to protect the natural landscape. Leptos is committed to enhancing the environment it shares. 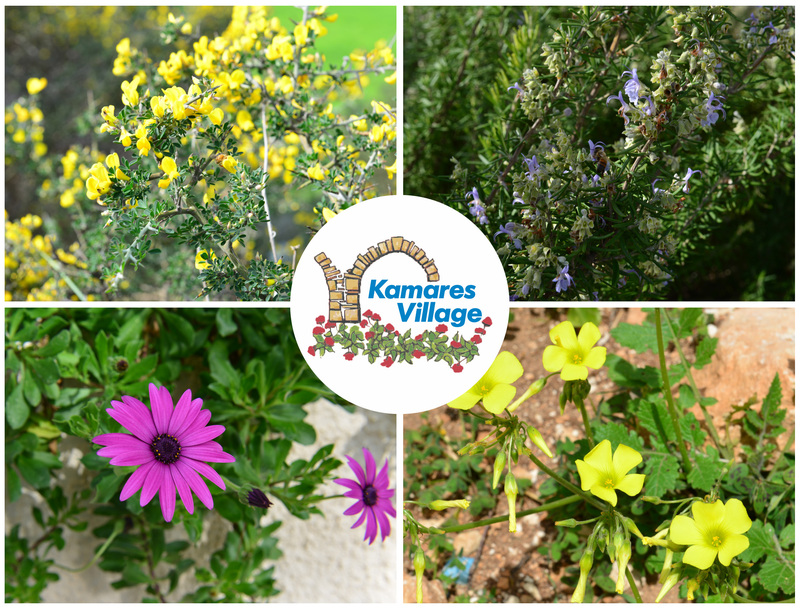 If you are a wild flower enthusiast or a keen wild flower photographer, visit Leptos Kamares Village where your camera will capture hundreds of plants and flowers that exist in the area and most definitely worth seeing.